This enormous nature reserve lies between Aberystwyth and Machynlleth and covers approximately 2,290 hectares. It includes Borth Bog (Cors Fochno), the Dyfi Estuary and the dune system at Ynyslas. 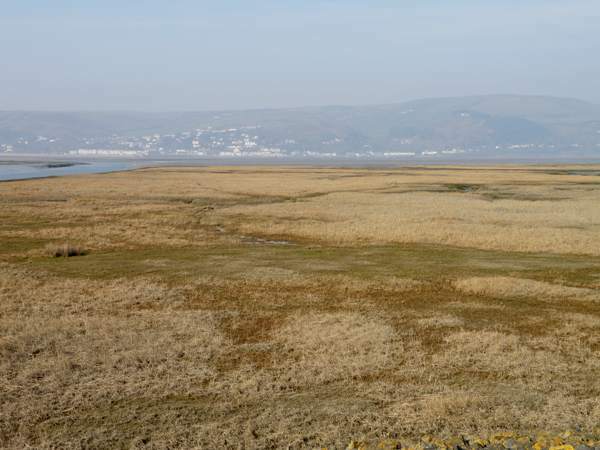 Cors Fochno is one of the finest raised peat bogs in Britain, Ynyslas sand dunes are the largest in the County of Ceredigion, and the Dyfi Estuary is home to an amazing number of wading birds and wildfowl. Dyfi NNR was designated as a UNESCO Biosphere Reserve in the 1970s, and the designated area was extended in 2009 to include the whole of the Dyfi Valley, bounded by Aberystwyth, Llanbrynmair, Llanymawddwy, Corris Uchaf and Aberdyfi. Dyfi NNR is managed by Natural Resources Wales (NRW). For the main entrance to Ynyslas sand dunes and the Visitor Centre: Take the A487 road from Aberystwyth towards Machynlleth. Pass through Bow Street village and then turn left towards Borth on the B4353. Continue through Borth and then bear left onto an unmarked road towards Ynyslas and the golf course, just before a sharp right-hand bend. You will find the car park about 2km (1.25 miles) further on, where the road ends on a beach beside the Dyfi Estuary. The beach car park at Ynyslas sand dunes is on tidal sands that are covered on high spring tides. There is a small charge form parking. Disabled visitors: Just before the main beach car park there is a turn off on the left-hand side of the road to a car park reserved for disabled visitors. A track leads from that car park directly to the Visitor Centre. To visit the saltmarsh and mudflats: Do not turn off the B4353 towards Ynyslas but continue on around a sharp right-hand bend until you see a bridge, which crosses the River Leri, and a boatyard on the left-hand side of the road. Parking here is difficult: there is a layby on the right-hand side of the road with a postbox just before the bridge, where one, or possibly two small cars could park. There is also an entrance into an Environment Agency Wales property, which appears to be disused, just after the bridge and where a car could park without blocking the entrance. Immediately opposite the Environment Agency building is a gate and stile leading to a path along the edge of the River Leri and down to the mudflats. In order to protect wildlife habitats, dogs are not allowed on to this part of the reserve . To visit Cors Fochno: Access to the track and car park are via a gate off the right-hand side of the B4353 when driving from Borth towards the small village of Llancynfelyn. 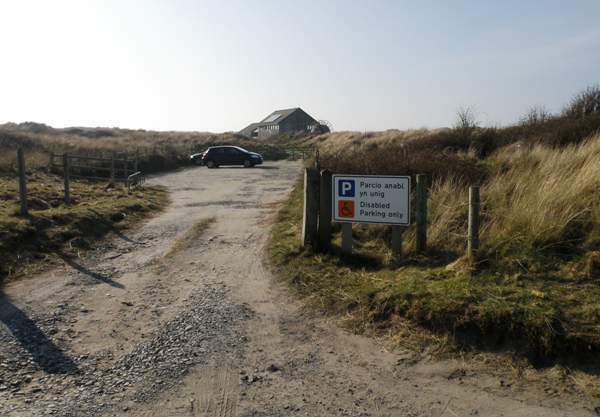 Ynyslas Dunes : There are a surfaced track and a ramp suitable for wheelchair users leading from the small car park for disabled visitors close to the Visitor Centre and it takes you directly into the Visitor Centre itself. There is a further stretch of around 500m (450yds) of boardwalk leading from the Visitor Centre to the beach, and a shellpath that meets up with another stretch of boardwalk through the dunes to the beach. Please keep to the tracks and paths in order to avoid erosion of the dunes and damage to the wildlife. Cors Fochno: There is a track leading to a boardwalk which runs for about 1.5km (1 mile) through this amazing habitat, which is well worth a visit - particularly if you are interested in plants, insects and reptiles. Dogs are not allowed on this part of the reserve in order to protect the wildlife habitats. The bog is a dangerous place and straying from the boardwalk could have disastrous consequences, so please heed the warnings on the information board at the entrance to the boardwalk and take great care. The Visitor Centre is open daily between Easter and the end of September from 9.30am to 5pm. It is manned by CCW staff, who are happy to help you get the best from your visit to the nature reserve. There is also a small shop and a marine aquarium. The shop does not sell refreshments, but there are shops, pubs and cafés in the surrounding villages. The public toilet block on this site closes at dusk. Information boards can be found throughout the reserve, particularly along the circular walk through the dunes. In summer there is a series of events and organised walks. We have many wonderful nature reserves in Wales, but this one really does have everything. It's situated in a part of Wales that has fabulous sandy beaches as well as attractive inland scenery. If your interest in wildlife is general it would be possible to make separate forays into the three main areas of Dyfi National Nature Reserve and enjoy very different wildlife experiences. 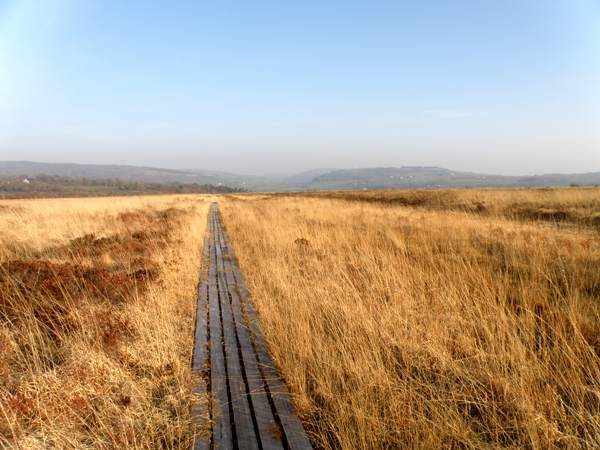 If that isn't enough, there are two other interesting nature reserves in the area: the RSPB reserve of Ynyshir and the Cors Dyfi Montgomery Wildlife Trust reserve, both of which are short journeys from either Borth or Machynlleth. 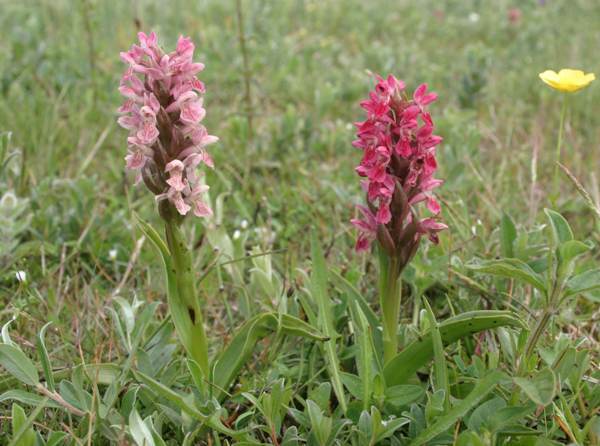 The dune slacks at Ynyslas are well known for their wildflowers, and in particular the wild orchids that grow there. Dune slacks are the low basin-like areas in between the sand dunes which, during winter, are submerged in water and then gradually dry out as spring and summer progress. This type of habitat is particularly suitable for the Marsh Helleborine Epipactis palustris, which occurs there in vast numbers in late June and early July. Other orchids in the slacks include the Early Marsh-orchid Dactylorhiza incarnata, Northern Marsh-orchid Dactylorhiza purpurella, Southern Marsh Orchid Dactylorhiza praetermissa and, in the slightly drier areas, the Bee Orchid Ophrys apifera and the Pyramidal Orchid Anacamptis pyramidalis. Wales has more than its fair share of these wonderful dune systems along its coast and this makes Wales an excellent place to see many kinds of chalk-loving orchids (and other plants), because the crushed shells in the soil provides them with the perfect habitat. Many of these dune systems are protected as nature reserves. Further south there is Kenfig NNR, Oxwich Bay NNR and Whiteford NNR, while in the north there is Morfa Harlech, and on Anglesey, Newborough Warren NNR all of which are botanists' paradises. Although many of the orchid species are common to them all, each one has something special that makes the journey to see them worthwhile. It is definitely not a case of 'seen one sand dune seen them all! ', and in fact different plants colonise different sand dunes in the same system depending upon the age of the sand dune, not just its geographical location. Below: The rare Rosy Marsh Moth (Eugraphe subrosea) can be seen at Cors Fochno - picture Rob Petley-Jones, Natural England. The dunes at Ynyslas have probably been accreting since the 13th Century. New dunes are formed as strong winds blow onshore bringing sand from the sand bars in the Dyfi estuary when they are exposed during low tides. If the small sand dunes survive (they can disappear if the wind blows strongly from another direction) they are initially colonised by plants such as Sea Rocket (Cakile maritima) and Sea Sandwort (Honkenya peploides), which are able to live on the few nutrients found in the sand created as seaweeds decompose. Over time and as a result of strong onshore winds, the dunes gradually move up the beach further away from salt sea spray, which is when Marram Grass (Ammophila arenaria) is able to establish itself in the dunes. The more vegetation the grows on the dunes the more stable they become, attracting in time different plants that need semi-fixed or fixed dunes for their survival. Wild orchids are by no means the whole story, and other lovely flowering plants seen in the dunes include Common Restharrow (Ononis repens), Common Centaury (Centaurea erythraea), Bird's-foot Trefoil (Lotus coniculatus) and the rare, though rather insignificant, Petalwort (Petalophyllum ralfsii). In 2009 there was a reintroduction programme for the Sand Lizard (Lacerta agilis) at Ynyslas dunes which was run jointly by the Amphibian and Reptile Conservation Trust, NRW and Natural England. Sand Lizards became extinct from the dune systems of north and west Wales in the 1960s. Other such Sand Lizard introduction programmes that have taken place in parts of North Wales over the past 17 years have proved successful, and if our last visit to Dyfi NNR in mid-March is anything to go by, so is this one. We found a Sand Lizard on the flood defense bank just inside the gate at Leri Bridge which leads down to the saltmarsh and mud flats. Leri Bridge obviously carries more than just vehicular traffic! Of course, it is not just plants that live in the sand dunes at Ynyslas; fungi, mosses and liverworts, some of them rare, can also be seen there. Insects and other invertebrates are prolific, too, including a nocturnal hunting spider Agroeca dentigera which is found nowhere else in Britain. The birds that breed in the dunes include Stonechats (Saxicola torquata), Linnets (Carduelis cannabina), Skylarks (Alauda arvensis) and Shelduck (Tadorna tadorna). The sea between Ynyslas and Borth is a good place to see the Red-throated Diver hunting close to the shore. Other birds that can be seen offshore include Gannets, Shags and Cormorants, and in the mouth of the estuary, Sandwich Terns can be seen in good numbers, sometimes accompanied by Artic Terns, Little Terns and occasionally Roseate Terns and Black Terns. Despite land reclamation of substantial areas for agricultural purposes and some digging of peat around the edges of the bog, Cors Fochno has the largest area of undamaged raised mire in Wales. It is home to numerous kinds of plants, birds, mammals, amphibians and reptiles. In the latter case Adders (Vipera berus), Grass Snakes (Natrix natrix), Slow-worms (Anguis fragilis) and Common Lizards (Licerta vivipara) are all commonly seen there. On a winter or early spring day there is an eerie silence over the bog, but in late spring and summer the place comes alive with birdsong and the buzzing of insects. The birds that breed at Cors Fochno include Sedge Warblers (Acrocephalus schoenobaenus), Teal (Anas crecca), Water Rail (Rallus aquaticus), Redshank (Tringa totanus), Common Snipe (Gallinago gallinago), Cuckoo (Cuculus canorus) and Skylark (Alauda arvensis). A winter visit can still be of interest for birds - Hen Harriers (Circus cyaneus), Merlins (Falco columbarius) and Peregrine Falcons (Falco peregrinus) have all been observed hunting over Cors Fochno. 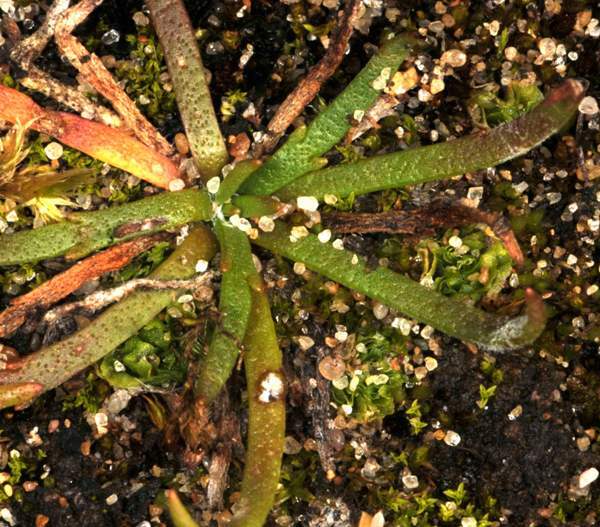 There are sixteen sphagnum bog moss species at Cors Fochno, and all three British species of Sundew occur there - Round-leaved Sundew, (Drosera rotundifolia), Oblong-leaved Sundew (Drosera intermedia) and Great Sundew (Drosera anglica). Other peat-loving plants that grow in the bog include Bog Myrtle (Myrica gale), Bog Rosemary (Andromeda polifolia), Cranberry (Vaccinium oxycoccos) and the lovely Royal Fern (Osmunda regalis). 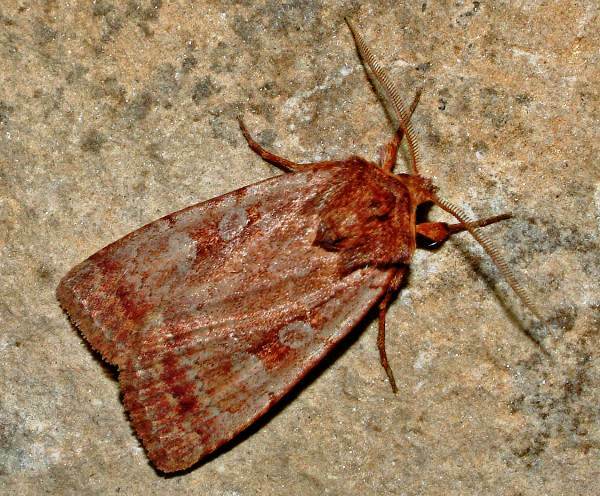 Of the many rare insects that live at Borth Bog it is perhaps best known for its population of the Rosy Marsh Moth (Eugraphe subrosea), discovered in 1965. 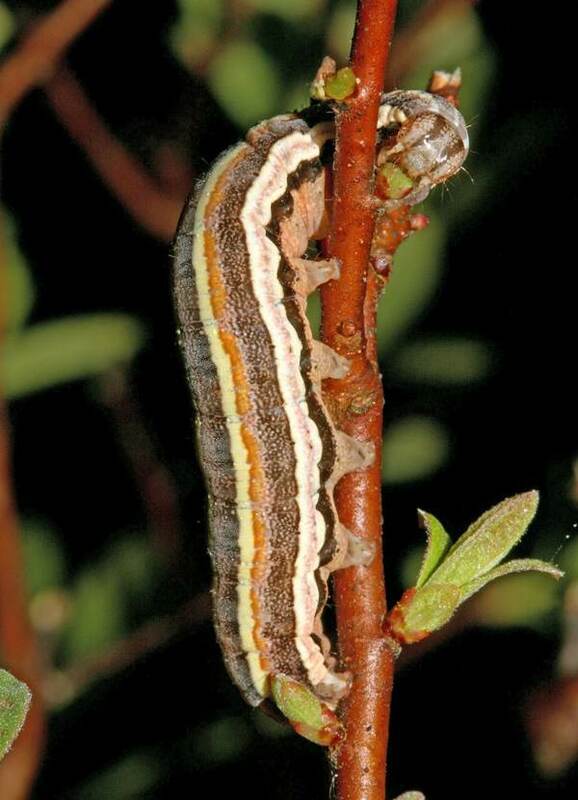 Thought to have become extinct elsewhere in Britain more than 100 years ago, it has since been discovered at Cors Caron/Tregaron Bog NNR in Southwest Wales, and also in Cumbria. Other insects of interest are the Small Red Damselfly (Ceriagrion tenellum), the Bog Bush-cricket (Metrioptera brachyptera), Large Heath Butterfly (Coenonympha tullia), and the Jumping Spider (Heliophanus dampfi) which is only found in raised bogs. Manx Shearwaters are normally associated with Skomer and some of the other islands off the coast of Wales, but in late summer several thousand can appear in the shallow waters of the beautiful Dyfi Estuary. 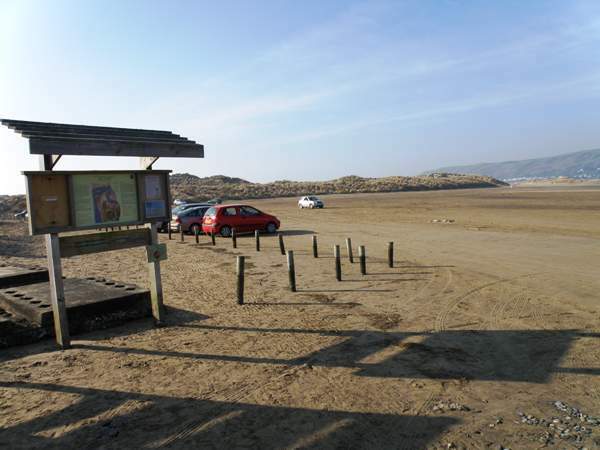 The scenery is outstanding, and the beach car park at Ynyslas is often filled with cars and their passengers who just sit and enjoy the view in summer or winter - or is it the birds they are watching? The estuary has outstanding birdlife: in winter it provides refuge for large numbers of wildfowl and waders including the only known wintering population of Greenland White-fronted Geese in England and Wales. A walk from Leri Bridge will show you the diversity of the habitats that can be found along the Dyfi Estuary: there are large areas of mudflats and sandbanks, river channels and the largest area of saltmarsh found in Ceredigion. NOTE: To reduce robot spamming, we have put spaces before and after the @ symbol. Therefore, rather than simply copying it from above and pasting, you will need to type the address into your email system with no spaces either side of the @ symbol.